Our goal for Year-End Giving to Hillside is $9000, which will go directly to improving spaces and resources that matter to our guests and members alike. To contribute, visit our giving page & click “Give Now” then choose the category on the drop-down menu. ​Or make a check payable to Hillside Christian Church with the category in the memo. Thank you for sharing and practicing the generosity of God with us this holiday season! Using our secure online giving platform, PushPay, you can confidently know that your gift to Hillside during #GivingTuesday will be responsibly managed and safely processed. Why Give to Outreach, Hospitality & Grounds? Outreach: While the smallest amount on our list, outreach is our highest priority. We already do a lot of community outreach through volunteering with HOPE.wrx. 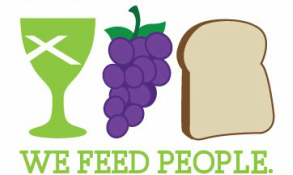 With Operation Uplift, we are able to provide hot meals each month in our community. ​The English as Second Language classes provide necessary resources for immigrants to find jobs, receive education. The volunteer teachers of ESL provide all materials and supplies out of pocket. We can share in the success of these students by providing new books. Hospitality: We can improve our "guest-friendly" spaces with better Wi-Fi and new water fountains. The athletes that come and practice here need hydration, and our current water fountains need to be replaced with efficient units that can easily fill a water bottle. The parents of these students hang out in the north entrance while their kids are practicing. This gives them time to do a little work or catch up on emails. Better Wi-Fi will improve that experience. Grounds: The stand of large oak trees along Campbell Drive are long overdue for a trimming. Some pose a risk to damaging the roof. Gifts to the grounds project will help us protect the vital asset we have in the building, allowing community groups and church ministries to continue for years to come. GivingTuesday is a global day of giving fueled by the power of social media and collaboration. Celebrated on the Tuesday following Thanksgiving (in the U.S.) and the widely recognized shopping events Black Friday and Cyber Monday, #GivingTuesday kicks off the charitable season, when many focus on their holiday and end-of-year giving. One of the best ways to get involved is in your own community.